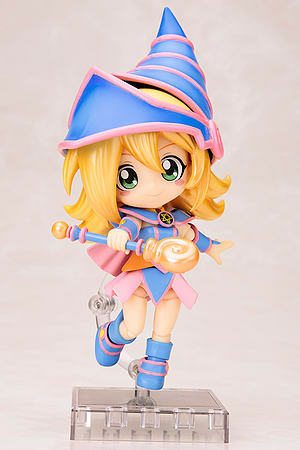 From Kotobukiya comes this high quality figure of Dark Magician Girl from Yu-Gi-Oh!, part of their Cu-poche series of figures! Standing at approx. 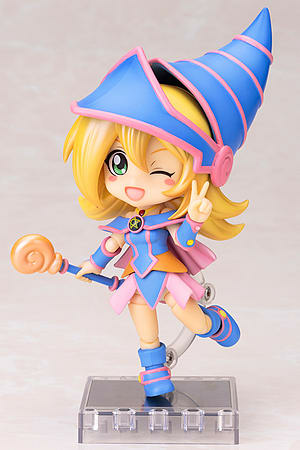 145mm tall, Dark Magician Girl comes complete with magic cylinders and effect parts! 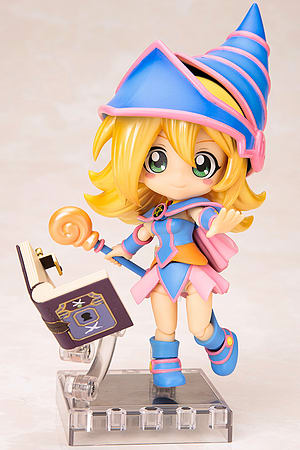 Also included are 3 different faces, a magic spell book, wand and optional hand parts (x3)! 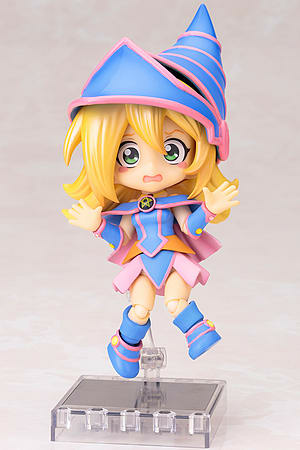 A base and posing pole set is also included to allow for freedom to pose Dark Magician Girl as you see fit!